At LCI, "We believe in ideas that create change. We craft compelling stories. And, we communicate." Ragan's Ace Awards named LCI the #1 PR Firm (Small Firm) in the US, as well as America's #1 Healthcare PR Firm, Landis Communications Inc. (LCI) has been called "The San Francisco Bay Area's public relations, marketing, social media, video & digital experts," Landis Communications Inc. (LCI) celebrates more than 25 years in business. Landis PR (LCI) offers the latest PR, marketing communications, digital strategies, video production, social media, media training and presentation training, reputation management, crisis communications and community relations to help businesses grow. Winner of the Bulldog Award for social media & public relations, LCI was rated the #1 social media agency in the U.S. by TopPRAgencies.com & the nation's #3 PR agency by 10 Best PR. The San Francisco Business Times named LCI one of the top 25 LGBT owned businesses. Ragan's PR Daily also awarded LCI with the top prize for Best Response to Breaking News and Black Box named LCI one of the nation's top healthcare crisis PR firms. LCI also won the 2016 San Francisco Small Business Excellence Award for Advertising and Feedbox honored LCI's blog, LCInsights, as one of the top PR blogs in the country. LCI is a full-service consumer and B2B marketing communications agency, offering strategic communications, public relations, marketing, social media, media and presentation training, branding, digital services, video production, community relations, crisis communications and more. 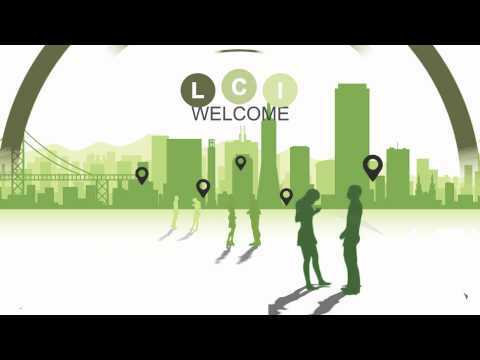 Celebrating more than 25 years in business, LCI specializes in services for a broad array of client industries, including: financial services, retail, healthcare, consumer technology, real estate, technology, entertainment, food/beverage/hospitality, home furnishings, nonprofits and more. David Landis also is an Official Member of the Forbes San Francisco Business Council. Our clients include: Velodyne LIDAR, UCSF, Walmart, Care4Today, Johnson and Johnson, Stanford Children's Hospital, Global Alzheimer's Platform, Brain Health Registry, MetLife, Match.com, Emirates Airline, eGreetings, California Bank & Trust, Merck, Tiffany & Co., City CarShare, Selequity, Native Trails, On Lok Inc., California Academy of Sciences, Gap, Old Navy, Cold Stone Creamery, Harry & David, Maxthon, Clickworker, One Rincon Hill, Tishman Speyer, Troon Pacific, Whole Foods Market, Out and Equal, Lyfe Kitchen, San Francisco Symphony, Museum of the African Diaspora (MoAD), SF Community Music Center and more. Together with our East Coast PR affiliate The Castle Group, LCI launched Giant Step Digital (www.giantstepdigital.com), helping brands stand out in a digital world. LCI is a proud member of the National Gay & Lesbian Chamber of Commerce, as well as SF's Golden Gate Business Association. LCI is certified as a Local Business Enterprise (LBE) by the City of San Francisco and also is a certified corporate diversity supplier. Ask about our "Promised Results" ROI metrics. LCI is the San Francisco member of the Public Relations Global Network (www.prgn.com) with 50 PR and Marketing affiliate agencies worldwide. Headed by President David Landis & General Manager Sean Dowdall, LCI defines San Francisco Public Relations, Marketing Communications, Social Media and Digital Marketing. We look forward to working with you and your team to help grow your business. For further info, please visit LCI at www.landispr.com, call us at: 415.561.0888 or email us at: info@landispr.com. Thank you!